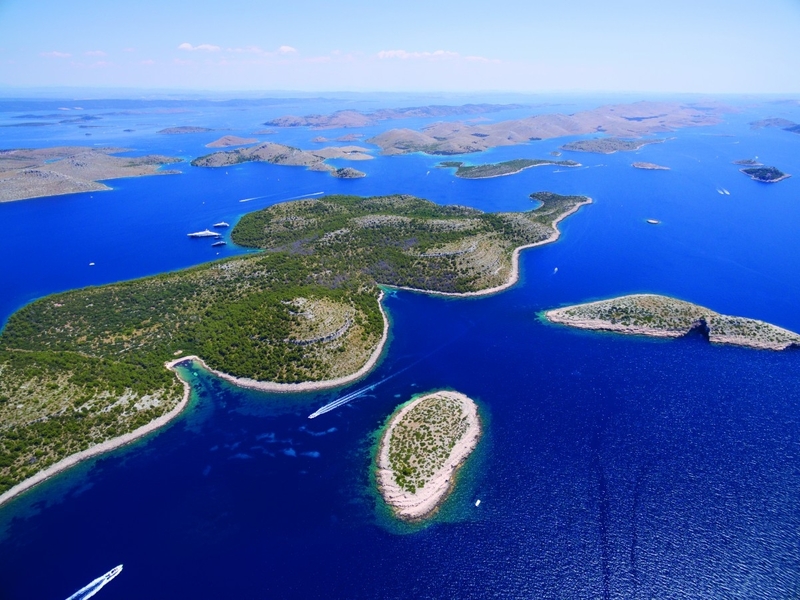 DAJEMO VAM PRILIKU NAPRAVIT IZLET U NAJLJEPŠI DIO HRVATSKOG DIJELA JADRANA - NACIONALNI PARK KORNATI. NACIONALNIM PARKOM JE PROGLAŠEN 1980 GODINE I OD TADA JE STAVLJEN POD ZAŠTITU. TAKO SU KORNATI BILI I OSTALI NEBRUŠENI DRAGULJI OVOG DIJELA HRVATSKE I SVIJETA. UKUPNA POVRŠINA PARKA JE OKO 220 KM2 A SASTOJI SE OD 140 OTOKA, OTOČIĆA I HRIDI. OD POVRŠINE PARKA, SAMO OKO 1/4 JE KOPNO, DOK JE PREOSTALI DIO MORSKI EKOSUSTAV. OBILUJE PRIRODNIM I KULTURNIM POSEBNOSTIMA. OKOMITE LITICE 'KRUNE' KORNATSKIH OTOKA OKRENUTE PREMA OTVORENOM MORU NAJPOPULARNIJI SU FENOMEN OVOG PARKA. ONE SU I STANIŠTA RIJETKIH VRSTA.